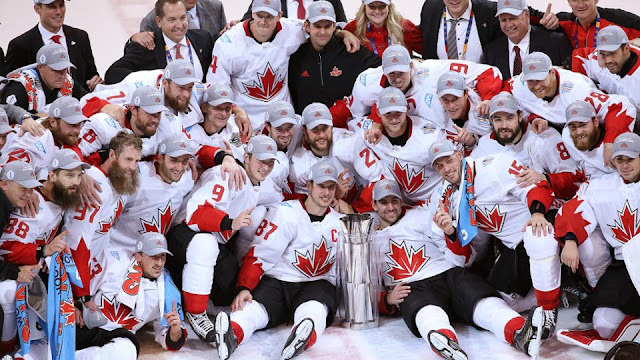 Last week Canada's national hockey team once again won the World Cup of Hockey. The trouble is, their line-up was politically incorrect. The players were not sufficiently inclusive. This won't do. Not in 2016. Vancouver Sun columnist Pete McMartin would no doubt agree. 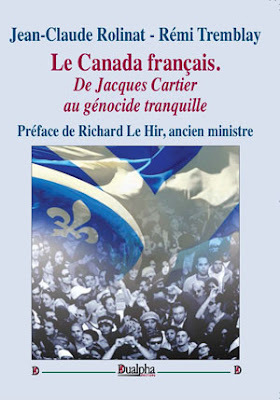 In reflecting upon the racial composition of Canada's all-White Olympic hockey team in the Whistler Winter Games in 2010, Pete opined that the next Canadian Olympic team should consist of ethnic minorities in the same proportions that they exist in Canadian society at large. Interesting idea. McMartin didn't say that he would apply the same policy sports like track and field and professional baseball and football. Would he insist that since 75% of Canadians are White that 75% of CFL players be White? Or 75% of the Toronto Blue Jays or Toronto Raptors be White? Or 75% of Olympians chosen to represent Canada in the 100 metre race be White? I suspect not. Employment 'equity' is a one-way street. And so it should be. People like Sidney Crosby, Jonathan Toews, and Steve Stamkos should be stripped of their White privilege. Isn't ironic that in the land that trumpets its multicultural, multiracial composition, a country where hockey is religion, there are no non-Whites on the roster of its best team ever? Now, common folk might think McMartin's proposal rather absurd, but then who are they anyway? Just ignorant people who haven't been educated by the CBC, that's all. They haven't yet learned that the concept of people being hired on the basis of merit is one of those racist and sexist notions that has no place in the Great Multicultural Experiment that is modern day Canada. With non-Whites comprising 90% of Canada's world-high immigration intake, it is high time that the NHL got ahead of the curve and implemented McMartin's suggestions forthwith. In any case, since demography is destiny, it is clear that quotas will soon be imposed on all sports teams in this country whether they like it or not. Besides, lilly white teams will not go over at the box office in Canada's big cities. This is only just. If third world immigrants can't crack an NHL line-up it can only because of systemic racism. They have few role models and there are no hockey outreach initiatives in place to recruit potential talent in Central Africa, China or the Punjab. There is a vast pool of untapped talent out there, and it is high time that NHL scouts patterned their search for upcoming stars after Canada's immigration reforms in the mid-sixties. Until then, immigrant selection criteria favored European applicants. The only reason being that they were educated, hard working, law abiding, largely Christian, easily assimilated and possessed of the same heritage as the people who founded our nation. Inconsequential considerations like that. Just think about it. How many Connor McDavids languish in refugee camps? How many Bobby Orrs are there in China? The mind boggles. As the league continues to expand, it is clear that the NHL must cast a wider net to prevent further dilution of their product. We must open the floodgates to all who wish entry to Canada to fill NHL rosters and allow us to ice a Rainbow of Athletes. "Team Post-National Canada" is our future. It doesn't matter where they come from, as long as they share our "values." If they want to integrate, if they want to know what Canada is all about, then as Ron MacLean says, all they need do is go to a hockey game. "Good Evening Hockey Fans in Canada and the United States. And a special hello to shut-ins and those who can't make it to the game tonight. I'm Tim Token, with me is colour commentator, future Hall of Famer P.K. Subban. We are here at Maple Gardens in Toronto to bring you a classic match-up between two old rivals in the Original Six. The Montreal Canadiens and the Toronto Maple Leafs. That's right! 'French' Canada and 'English' Canada face off for bragging rights and two points that they so desperately need to earn a place in the upcoming Stanley Cup playoffs. 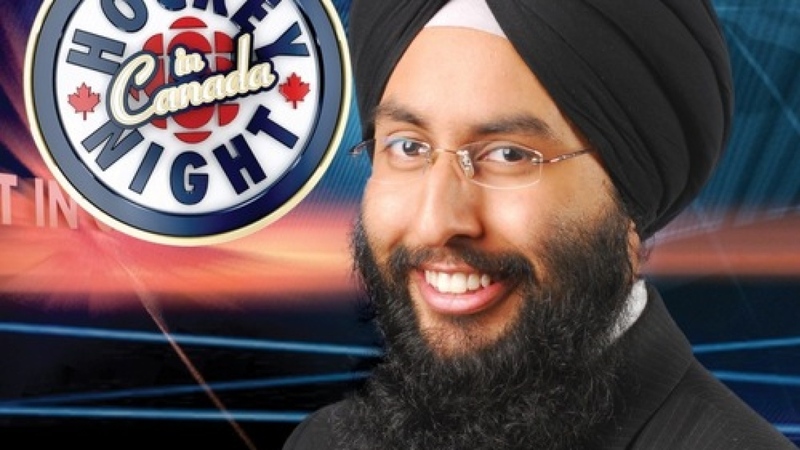 Joining the game in progress let's follow the legendary Jim Huson with his play-by-play:"
".... and now Gurpal Singh intercepts the puck at the blue line! He passes it to his sponsored cousin Hardeep Singh, Hardeep chips it back to the point to his sponsored cousin Darwhal Singh who arrived at Pearson International just in time for the game .... Darwhal fakes the shot, then passes over to Gurpal .... Singh over to Singh, back to Singh, who makes a cross-ice pass to Singh .... Singh shoots! .... Zhou Chiang makes the save! Zhou attempts to freeze it but his defenceman Wong head-mans the loose puck to Chow and Chow races toward the Canadiens' line with one man back. It's a two-on-one break with "Charlie" Chan on his right! Montreal has just one defenceman back, Muhammad Ali Khan .... Wong dekes then shoots! .... Turned aside by Haitian goaltender Jean "Baby Doc" Duvalier! And now Hassan retrieves the puck and relieves pressure by rifling it down the ice. This will be icing against the Canadiens. Time for a line change." "The "African line" jumps on the ice for the Maple Leafs, this time wearing skates which they just learned to use yesterday. Montreal counters with their checking line from Kandahar, the feared "Taliban Trio" who can prove explosive if they get a scoring opportunity .... Wait a minute, what is this? A fight has broken out! .... Wong opens up with an upper cut to Singh, and then Singh replies with a concealed weapon, his ceremonial kirpan! Normally he would be thrown out of the game but the ref is allowing him to keep his ethnic identity. Another Singh is trying to goad "Chow Mein" Chow into fisticuffs, but Chow backs off. He "chicken" Chow Mein! Now here is a right cross-hook from Yamashita to a Korean-Canadian and he is out cold! Who is he? It's Duc Too Soon! Now players on both sides are leaving the benches in a show of diversity! The Vietnamese are squaring off against the Filipinos! The Russians are taking on the Jamaicans! The Sikhs are fighting each other! The two native-born Canadians are trying to mediate! And the Muslims are screaming to the officials that it is all a Zionist plot! The Jews are behind it!!! The Jews are behind it!!!" "Ladies and Gentlemen we are all enriched tonight!!! What we have here is Unity in Diversity!! Where is Spike Lee?? Canada at its best! .... Now who is that trying to get onto the ice and into the melee? It looks like they are Liberal Party recruiters .... they are trying to sign up ethnic pugilists for their coming leadership convention! And in comes the NDP leader for a photo op with the African line! They're designing a new brochure for the next election called "Standing Up for Ordinary Canadians" ...."
"The players are getting tired, but there is a 'taxi' squad of Sikhs with fresh legs at the airport with special visas waiting to enter the fray. They can't skate, stickhandle or shoot, but damn it all they are part of our mosaic!!! Hey wait, some of these guys are undocumented! No matter, they will receive amnesty during the second intermission ...."
"We expected Montreal star Hari Curry to break the game wide open earlier in the period with an offensive burst, but so far he has stunk the joint out .... Now it looks like Wong has gone into the corner and set up a grocery store .... Singh and Chan are injured and lying on the ice!!! Neither are yet covered by Medicare but they both insist that ICBC should pick up the tab .... Will the Canadiens be too exhausted for their game in New York tomorrow? They will have to catch an early morning plane if they can't get their carpets started tonight for a midnight flight .... Hopefully Al Queda Airlines will have a commuter run this weekend ...."